FICO scores are the most widely used credit scores in the U.S. According to myFICO.com, 90% of the top U.S. lenders access these scores to make important credit decisions. FICO scores range from 300 to 850, with higher scores representing better credit. A FICO score considered "very good" or "exceptional" (in the 740+ range) makes it more likely you'll qualify for credit approval with the best terms. If your score is below that, you may still qualify, but with a higher interest rate. 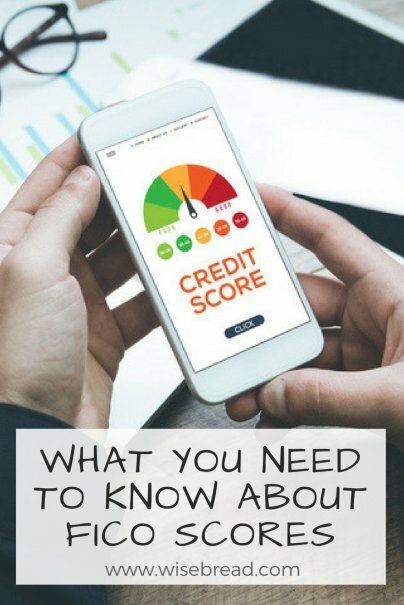 Besides, lenders, landlords, car insurance companies, and even some employers check your credit score because it's considered an indication of risk and responsibility. There are many places to get your credit score, and those scores may differ. All three credit reporting agencies — Experian, Equifax, and TransUnion — assign you a FICO score, and they may not be the same since each reporting agency may have different information on file. On top of that, FICO itself offers different versions of your score — some are tailored for car lenders, others for mortgages, etc. Your FICO scores will also fluctuate over time as your credit use is reported. Another thing: Since there are other types of credit scores (VantageScore being the main competitor to FICO), your lender may not even look at your FICO scores. But since FICO is the most commonly used scoring model, getting acquainted with your FICO scores is still a smart way to check your credit health. Payment history (35%): Your ability to make payments on time consistently is the biggest determinant of your FICO scores. Amounts owed (30%): How much you owe in relation to your credit limits — your credit utilization ratio — is the second most important factor. You want to keep this as low as possible. Length of credit history (15%): This is the average time that all your credit accounts have been open, with a longer history considered better. New credit (10%): Too many new credit accounts can imply that you're desperate for credit, and lower your score. Credit mix (10%): Having more than one type of loan is typically considered a good thing and will boost your score. There are several ways to get your credit scores, and some of them are free. Not all are FICO scores, but may still be worth checking to get an idea of how you're doing. You can pay about $20 to get your score from myFICO.com. Several credit cards offer free credit scores, as do Credit Karma and Credit Sesame. In addition, some lenders (e.g. Sallie Mae for student loans) offer a free FICO score or estimate of your credit score on your monthly statement.